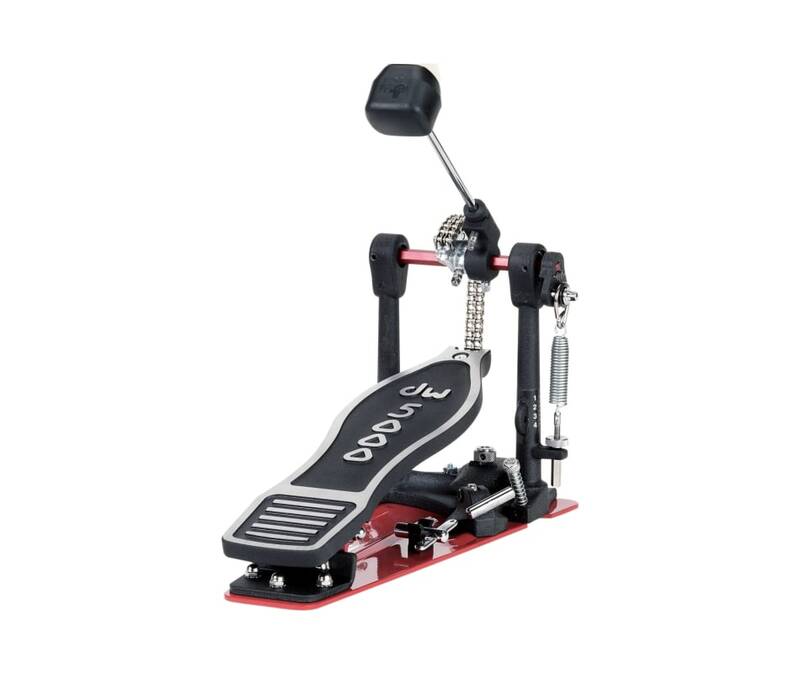 Similar to the 5000 pedal, the 5000ADS Solid Footboard Bass Drum Pedal from DW Drums utilizes an AD3 accelerator drive system, creating a specific motion that shortens the length of each stroke. The result? An increased velocity when you hit the kick drum. As such, this pedal is quite suitable for any musical situation necessitating greater speed and higher sensitivities; thus, drummers playing in genres as varied as metal and jazz might just get more bang for the buck from this system. The pedal also utilizes aluminum hex shafts, pedal plates, and linkages, as well as a dual-side adjusting hoop clamp. A 101 two-way beater with built-in spurs is included.